Rabbi Zalman Melamed, the dean of the Beit El Yeshiva in the Samaria town of the same name, spoke to Arutz Sheva about Operation Brother's Keeper, and called for the state to show a much harsher hand in rescuing the three kidnapped teens. "Already 13 days have passed since the abduction of the youths, and we can't wait longer. We need to raise the level of pressure on the kidnappers and their helpers. We need to go wild with rage over the kidnapping without caring about the external and internal pressure," said Rabbi Melamed. Israel's Security Cabinet announced Tuesday that it would be scaling-back the IDF's operations against Hamas's infrastructure and would be focusing solely on searching for the abducted youths. The decision to go on the offensive against the Islamist terrorist movement was taken as part of Israel's response to the kidnapping, which is believed to have been carried out by a Hamas cell. But it is believed the decision to limit "Operation Brothers' Keeper" to a search-and-rescue mission was the result of a concerted campaign of international pressure to avoid upsetting Muslim residents in the run-up to Ramadan - a concession which has been received with some anger in Israel, where many say there should be no let up in pressure until the boys are found. Rabbi Melamed expressed similar sentiments, calling for the IDF to hit the Hamas terrorist organization - which kidnapped Eyal Yifrah (19), Naftali Frenkel (16) and Gilad Sha'ar (16) nearly two weeks ago - "without mercy" until the three are returned safely. "The kidnappers and their helpers still think they have the upper hand, and meaningful actions are needed to prove to them that every day that passes (that the teens are not returned) is to their disadvantage," urged the rabbi. 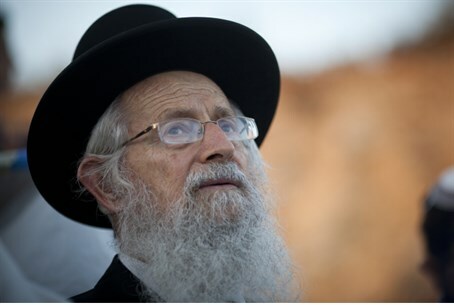 Rabbi Melamed then addressed the religious-Zionist representatives in the Knesset, saying "I call for the roaring of the hearts of Jewish Home ministers, of Likud ministers - go to the Prime Minister's office and don't leave there until you shake the very lintels of the building." "We must make the response harsher in every respect and press, and press again on those supporting the kidnappers. We must not slacken until the youths come home healthy and whole, with G-d's help," concluded the rabbi.